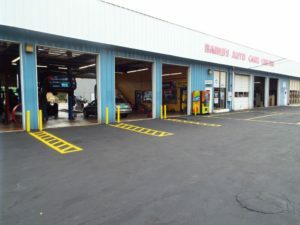 Baird’s Auto Care Inc has been repairing vehicles and performing maintenance in Bloomington/Normal, IL for over 55 years. 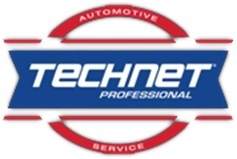 Our expert team of technicians are fully equipped and certified to deal with whatever is going on with your car, and we’ll get you back on the road fast! 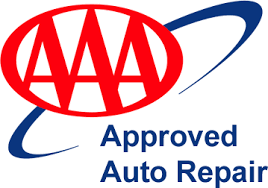 Whether you need minor or major work done, your car running smoothly is our business. Auto services:Our technicians are fully qualified to deal with all major and minor repairs. Unexpected breakdowns, strange noises, and unpredictable behavior can be a nightmare for car owners; let our trained staff put you at ease and professionally assess the problem. Brake repair: The brake system on your vehicle is one of its most important safety systems. From replacing brake pads to inspecting your rotors and drums to inspecting brake lines, we provide top workmanship and quality care to keep you driving safely. Oil change: Regular oil changes from qualified technicians are the simplest and most inexpensive form of preventative maintenance. Keeping your engine working at its best requires the right kind of oil, and experienced techs can ensure that your oil change doesn’t take all afternoon, no appointment needed. Let Baird’s Auto Care keep your engine running in top form! Tire services: Great mileage and safe handling of your vehicle begins with high-quality tires and alignment. Aside from the standard wear and tear of the road, poor weather and misalignment can dramatically reduce the lifespan of your tires. The expert staff of Baird’s Auto Care will inspect your tires to ensure that they meet the manufacturer’s safety standards. Tune up:Complete vehicle tune-ups extend the life of your engine and keep it running closer to its original efficiency. When you bring your car in for maintenance with us, we tailor our service to your car based on the manufacturer’s recommendations for optimal care. Let us keep your car healthy and save you money in the long run! Lift Kits & Accessories- We are now installing lift kits, wheels, tires & accessories for your Jeeps, Chevy, Dodge & Ford pickups. Darrell has been doing this on a personal level for years and he has the experience to do a professional job on your vehicle. Call to get a quote on customizing your Jeep or Truck. After your estimate is approved, we’ll have your services performed rapidly—and even provide free shuttle to reduce the inconvenience to your day. To get started, contact our office at (309) 452-9819 today!